The June Coker Connection newsletter takes a deep dive into the importance and intricacies of Revenue Cycle Management, a topic we at OrboGraph hold near and dear. In fact, many systems that believe their approach to RCM is fundamentally and financially sound may find that MACRA/MIPS and bundled payment methodologies will render their processes outdated in the context of fee-for-value and bundled payment reimbursements. Most healthcare organizations exist in an era of generic charge capture and claims processing without any visibility and tracking of quality or performance. That is, a level three recheck is performed, it is billed out, the electronic fund transfer (EFT) returns, and the payment is posted to the patient’s account. That scenario is predictable if everything goes along smoothly, i.e., no denials, no rejections, etc. Gorke goes on to warn that institutions and practices that “back-burner” the important and pivotal role of revenue cycle management at the expense of growing their bottom line, and, ultimately, their ability to address the move away from volume to value that we are observing in the industry, ACA or not. As necessary, realign staff to ensure the right person is in the right job; ensure that “job function” is clearly elucidated. Consolidate, where possible, disparate processes that occur throughout the organization. Establish reporting structures and consistent lines of communication. Provide feedback to the practice(s) so that avoidable denials and errors created at the practice level improve; this also places some of the onus of repairs on those who’ve submitted erroneous work. Design, develop, and implement P&Ps for the clinic or CBO. Improve front office (e.g., check-in) collections of co-pays and deductibles; baseline and budget. Measure, monitor, communicate, alter/adjust (the RCM) as needed. 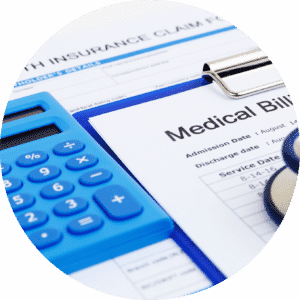 Prepare for bundled payment methodologies and handling of same. Consider status of IT system to handle bundles. We couldn’t agree more – – and the OrboAccess Healthcare Payments ecosystem is testament to our commitment to the fundamentals listed above. If you haven’t already, spend a minute with our OrboAccess video to see the possibilities!